Supercalifragilisticexpialidocious is the word that comes to mind upon finishing ‘Everybody Writes’. 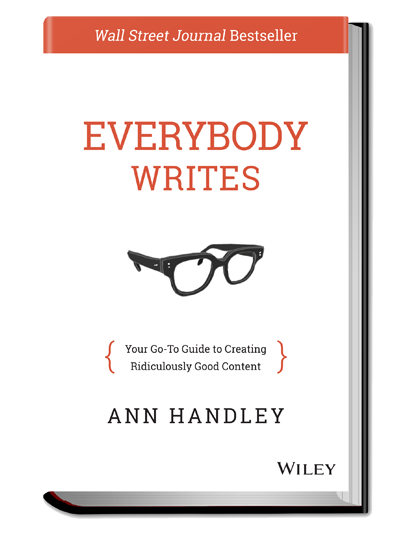 This book – written by Ann Handley – is based on the belief that everyone can be a good writer and that even the best can and should still learn. Talent isn’t involved as much as you’d think. It seems like a bold statement, but the way to ridiculously good content is all about grit and commitment. Handley honours her title of one of the most influential woman in her business by writing this masterpiece. Here’s why! You heard the lady! Hard work combined with the right knowhow equals a well-written text. You have to provide the hard work. Luckily, Ann Handley provides the knowhow in 6 chapters! This chapter explains to you how not to write an obituary, but a Shakespearean homage. In short: writing is all about turning it into a habit and finding ways to connect to your audience. One key characteristic in this: empathy! But you don’t have to learn all that on your own. In 28 writing rules, Handley teaches you to write better (or to hate writing less!). A book on writing wouldn’t be a book on writing without the big bad wolf we call ‘grammar’. Lots of people claim to write flawlessly. Little do they know that they still make mistakes. I don’t know every grammar rule. There are probably a few grammatical errors in this article! You’d expect Ann Handley to overwhelm you with boring grammar rules. But that’s not the case. She even contradicts the rules! This chapter deals with those things people hate when reading a text. Storytelling is sort of a hot potato and a very simple concept: telling a unique story in which your audience recognizes you! Some companies tell us wonderful stories. Others on the other hand fail miserably at it. The issue with the latter is the lack of knowhow. Ann Handley to the rescue! Not only does she tell you how your company can tell a fascinating story. She even shows a few examples of people doing it right. A very important lesson taught in this chapter: credit your sources. There’s nothing so frustrating as someone stealing your work. Whether it’s a quote, a study or an image: the original authors want to be credited. It’s very easy to ask them. To give an example: I asked Ann Handley herself if I could use the images on her website for this article. She was quick to smile and say yes. This chapter is worth so much for every marketer. Handley discusses the most important things marketers write. Social media posts, blog posts and annual reports are but a few. And yes! Even the #hashtags get a rule of their own! Just like a skilled workman uses the best tools, a good writer possesses a toolbox of his own. This chapter is Walhalla when it comes to that toolbox. Image databases, infographic creators, time management tools,… You’ll undoubtedly find something which could satisfy your needs in the future! After reading this book, you can’t do anything but agree with Ms. Handley. 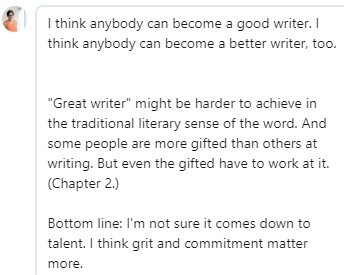 Writing is not really about talent. It’s about you! Writing can be easy, as long as you put both effort & time into it. After finishing this book, you’re all set to write some kickass content yourself! 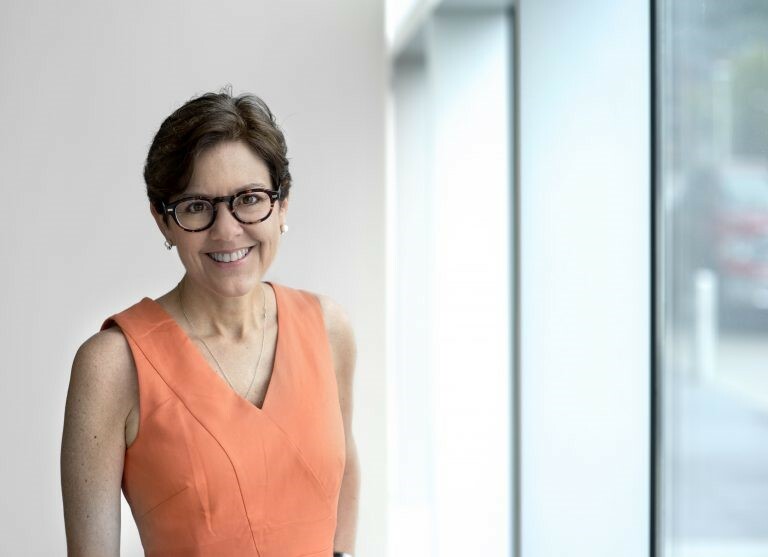 As Chief Content Officer at Marketingprofs, author of bestsellers & keynote speaker, Ann Handley is a busy woman. Forbes crowned her the most influential woman in social media and one of the best female bloggers around. She is, without a doubt, a great influencer when it comes to her business. In short: if you’d erase her name on the cover of the book, lots of people would think she wrote it after reading it. And that’s what storytelling is about! My advice? Follow her on LinkedIn, read her book(s) and discover how you can also become a skilled writer! Ik ben iemand met een breed interesseveld. Je zult mij dan ook zien schrijven over verschillende topics. Sport, e-commerce, innovaties, you name it. Anyway, moest je een vraag hebben, stel ze gerust in de comment section. The School of Marketing is een website van de bacheloropleiding Marketing van de Karel de Grote Hogeschool. The School of Marketing, dat is de studentenblog van de opleiding Marketing van de Karel de Grote Hogeschool, Antwerpen. De studentenredactie houdt je up-to-date over wat er gebeurt op Campus Groenplaats!